Heavy backpacks are an invention of the devil. While the idea of exploring the snow-clad mountains is appealing, the pile of gear required for a winter overnight expedition to the high country—tent, sleeping bag, sleeping pad, stove, food, clothing, skis or snowshoes, and the other backcountry essentials—is daunting. And when you stuff it all in a pack and trudge uphill through deep snow for a few hours, it doesn’t matter how much you spent on the latest and greatest pack suspension system, because any time you burden yourself with more than twenty pounds and carry it more than a mile, you suffer. Hundreds of years ago, clever Europeans realized the brutish nature of overnight mountain travel and addressed the problem by building huts in all the convenient corners of the Alps. Today, European mountain explorers wander joyously from shelter to shelter, carrying only a camera, a few clothes, and a pocket full of currency. In the evenings, they savor a hot meal—perhaps prepared by the hut keeper—sip a glass of the local vintner’s finest by the fire, then turn in for a sound night’s sleep under a warm roof. It was not until the latter half of the Twentieth Century that the civilized notion of alpine huts was imported to the mountains of Colorado. The first series of alpine shelters linked the towns of Vail and Aspen and is named after the 10th Mountain Division, whose members fought bravely in the Alps during the Second World War. While not as well known, the Telluride region also boasts a variety of winter backcountry shelters, ranging from rudimentary to luxurious. In the early 1970s, Jim Russell purchased a mining claim above Alta Lakes, approximately 13 miles from Telluride. During the summers of 1975 to 1977, he painstakingly built a fairytale stone and log structure—including a sauna and a neck-deep hot tub of native stone—on the shore of an alpine tarn. At the time, the building was the highest construction project in the state, so Jim called it “The Observatory,” based on its 11,300-foot location at the foot of Silver Mountain. Russell has hosted backcountry travelers in the Observatory since 1984, and winter is his favorite time to visit. “Ski, eat, relax, repeat,” he says simply. Observatory guests may ski over from the Telluride Ski Resort via either the Bald Mountain access gate or the top of Chair 10, or ascend from the Alta Lakes Road. Either way, Russell can deliver personal gear and food in a snowcat, so guests can travel with only light touring packs. Cindy Farny-Mallette is another longtime local who shares the beauty of the San Juans by opening the doors of her Hut at High Camp to others who love the mountains. The hut sits at 11,000 feet on the edge of a meadow, just south of Sheep Mountain, surrounded by national forest. Winter access is gained via a gently rising road approximately two-and-one-half miles long, and Farny-Mallette can provide a snowcat shuttle for food and gear. The end result is 2,000 square feet of cozy log cabin. Inside the mudroom, slippers wait in the basket near the door. The first floor consists of a spacious living room and well-appointed kitchen. Upstairs are four comfortable bedrooms and a sleeping loft. The Hut at High Camp accommodates a dozen visitors easily, with the option of another two guests in the living room on the sofa in front of the wood stove. Farny-Mallette opted to minimize The Hut at High Camp’s impact on the land by not constructing a septic system. Instead, she installed an environmentally sensitive composting toilet in the nearby outhouse. “It’s good to be a little rugged,” she says. “And the view from the outhouse is superb.” In a nod to luxury, the hut also has a wood-fired sauna. For the most bracing results, try eight to 10 minutes in the sauna, followed by a dash out the door to roll in the snow. San Juan Hut System owner Joe Ryan believes in the power of nature, too. “For me, its all about mountains, snow and sky,” he says. Ryan spent his youth exploring the mountains of Asia and North and South America. Inspired by the backcountry shelters he found in other countries, he started San Juan Hut Systems in 1987. He built five huts with a budget of $3,000 and the help of many friends. The strategically placed huts allow skiers to explore the north side of the Sneffels Range from Ouray to Ridgway to Telluride. Each is accessible from its own trailhead, or you can link the entire traverse. The 16 x16 huts sleep six to eight on padded bunks and contain a wood stove, propane stove and lamp, and essential cooking equipment. Drinking is prepared by melting snow, and the privy is outside. All the huts are situated on public land. During his initial years of operation, the Forest Service required Ryan to remove the structures each spring. “Portability concerns influenced construction,” says Ryan. “Basically, these are just fancy tents. You have to bring the right attitude to enjoy the experience. We’ll rebuild them nicer someday.” For now, if your idea of a quality experience includes wild mountain scenery, miles of Nordic or high-alpine ski touring, and rough-and-tumble accommodations between 9,400 and 11,000 feet, Ryan’s San Juan Hut Systems are where you want to be. 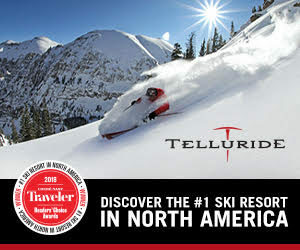 If all goes well, by the winter of 2009, there will be another high-altitude lodging option in the Telluride region. Ophir locals Bob and Karen Kingsley purchased a mining claim just over on the Silverton side of Ophir Pass and acquired a permit to construct a 1,600-square-foot, solar-powered structure on the property. Their plans include sleeping space for 16, running water, sauna and in-floor heat. Avalanches are a concern for all wintertime travelers in the San Juans, and accurate knowledge of the snowpack is important. All these hut keepers agree that if you aren’t knowledgeable about avalanche terrain and snow conditions, you should hire a guide, and each can recommend qualified local guide services. Although there’s a deep-rooted American notion of the individual pioneering spirit blazing a path in the wilderness, there are obvious advantages in hiring a professional to ensure safe arrival to your backcountry shelter. While avalanches are difficult to predict, they’re easily avoided by staying away from steep snowy slopes. With the exception of the Kingsley’s hut, all the shelters are accessible via relatively gentle slopes on snowshoes or Nordic skis. So gather family and friends for a private party or slip away with your sweetheart for a romantic getaway; either way, leave that devilish overnight pack behind and enjoy the beauty of winter from the comfort of a high-country shelter in the San Juans.